Story started off well and kept me interested. Excellent story line. Loved it till the end. Good story that moves along well with a good amount of suspense and thrill. It lacks snap at the end though, like so many of Grisham's books. This book started out pretty good and if you didn't ask too many questions and just went along for the ride it was a good time, until the end. There was a lot of build for a hugely dissapointing ending. Because the end made me regret bothering with the book at all, I can give the whole thing only 2 stars. I would have preferred some sort of surprise ending. It was too predictable and seedier than earlier works. 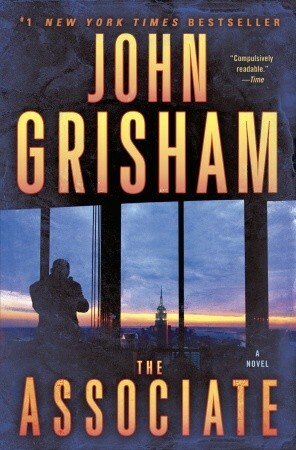 I love Grisham books (and so does my husband) ... we listened to this book on a trip we took and were instantly hooked. We couldn't wait to see how it would end only to be disappointed. Up to the end though we really enjoyed the book (I would have just had a different ending). Typical Grisham. The usual twists and turns. Loved it. This was like The Firm only with a different main character and a worse ending. I kept waiting for it to pick up and get thrilling, like the thriller is it supposed to be, but it never happened. Story was just OK but the ending was a huge disappointment. I have been waiting for John to go back to his earlier style in the manner of The Firm and The Pelican Brief. I enjoyed his earlier books because they gave you a peek into the inner workings of the world of a lawyer, while providing some intrigue and suspense. The Associate has all of those elements. My only criticism is that I would have like a few more twists and turns, but all in all, it was a good book. As a Grisham fan I was disappointed. An unbelievable plot which never reaches a conclusion. The so called conclusion left you hanging. I hope Grisham gets back on track and doesn't try to live on his name alone.